No. 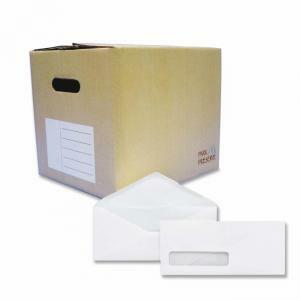 10 window envelopes feature a clear poly window, full-size flap and contemporary seam. Made of sturdy 24 lb. white wove material. Envelopes come in a bulk shipping container to reuse as letter-size file boxes for home or business use.